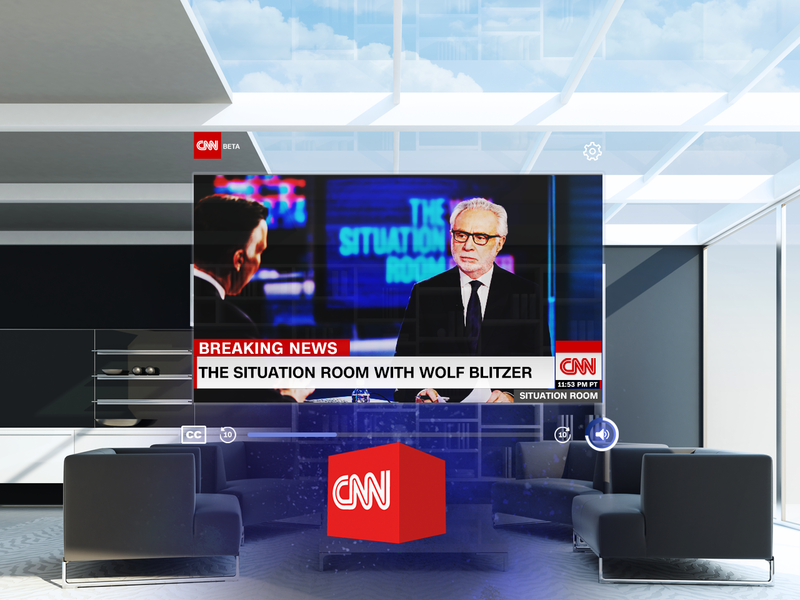 CNN on Magic Leap One puts you at the center of today’s top stories with live CNN, CNNi and HLN, on-demand shows and digital exclusives. Since 1980, when CNN launched the first 24 hour news network, the most trusted name in news has been pioneering ways to keep you informed. Now, for the first time, CNN is taking its live news coverage and on-demand content out of the screen and into your world with the launch of its first mixed reality app, now available exclusively on Magic Leap One. CNN on Magic Leap One puts you at the center of today’s top stories with Live CNN, CNNi and HLN, on-demand shows and digital exclusives. Using the Magic Leap Screens framework, you can spawn screens of any size, anywhere to create the perfect viewing experience for your space. Interactive data layers and live feeds from around the planet give you the power to dig deeper into topics you care about. As a world leader in news, CNN is constantly innovating. So stay tuned—CNN will be releasing new features soon that further showcase the immersive capabilities in spatial computing to give users more opportunities to explore, experience and engage with bolder forms of storytelling.